"Photography basically means nothing more than collecting." Bernd and Hilla Becher spent their career documenting industrial structures across the Western world, creating a form of photography arranged by type that, through repetition, encourages viewers to engage deeply with the formal qualities of the subject matter. The Bechers took thousands of images and divided these into categories based on function and sequences based on formal similarities, borrowing from scientific classification for artistic ends, focusing attention on the hitherto overlooked, suggesting that industrial forms were worthy of scrutiny. Their work is rigorously objective in its aims, but in its exacting presentation stimulates consideration of the ways in which people organize and receive information about their own environments and the wider world. 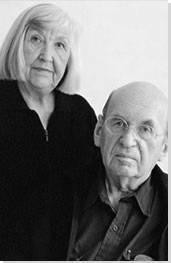 Bernd and Hilla Becher aspired to direct the audience's attention away from the photograph, emphasizing the content rather than light, perspective, or other artistic choices, but in doing so created a school of photography that forced reconsideration both of the presentation of images and the preservation of the built environment. Since the 1960s, the Bechers have focused exclusively on industrial structures that are typically overlooked. Their photographs focus the audience's vision on buildings and machinery from which people typically look away, demanding serious consideration. Their consistent focus on presenting structures associated with the coal and steel industries leads the viewer to reconsider their aesthetic preferences and encourages ongoing interest in industrial form. 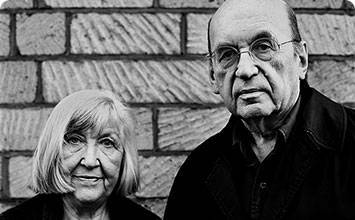 Bernd and Hilla Becher's work aspires toward objective documentation, aiming for images without subjectivity. Their photographs reacted against the prevailing mid-20th-century trend toward images in which the subject of a photograph is transformed by artistic elements such as soft focus, atmospheric lighting, or creative perspective. The Bechers photographed all structures in the same way, from a direct angle with a low horizon against a grey sky that minimized shadows, cropping each image so that the subject filled the frame. The Bechers' images are often associated with Conceptual art, due to the way in which they transform structures into form through removing them from their political and environmental context, even though the artists rejected this association. In arranging and displaying the images in sequences according to type, the works emphasize the similarities and differences between the structures that are presented. In this way, the arrangement of images acts as a commentary on aesthetics. The Bechers' lack of apparent consideration of industry's role in Nazi Germany is striking and has been subject to some criticism. A number of sites that they photographed were almost certainly involved in producing machinery and weapons used by German forces in World War II, but their images give no indication of this, tightly focusing on aesthetics at the expense of historical engagement. While other artists working in the same period argued that it was not possible to look at the past without considering the Holocaust and the rupture of World War II, the Bechers sought continuity with Weimar photographic traditions and focused on remnants of the industrial age that arguably came to a close with World War II whilst avoiding political questions of memory. This has evoked questions about the moral responsibilities of artists, with some critics arguing that representation of the world is sufficient while others suggest that such a position is immoral; another group argues that the Becher's reluctance to engage is so extreme that it constitutes a response to, rather than an evasion of, questions of historical responsibility. Bernd Becher was born in 1931 and raised in the town of Siegen, close to the Hainer Hütte steelworks, where many of his relatives worked. He had an apprenticeship as a painter and decorator with his father's company and spent a period in Italy working on his architectural drawing skills before enrolling in the State Art Academy in Stuttgart in 1954, where he would study painting, typography and graphic art. Bernd Becher foresaw that the creation of the European Economic Community in 1957 would transform industrial landscapes and he began sketching the Siegerland area and taking photographs to use as a basis for linocuts and lithographs around this point, due to the speed with which buildings were being demolished. This photograph shows a cooling tower in Bochum, Germany against a grey sky, rendered in black and white. The structure, constructed of wood with iron bars in a crossed pattern, is wide at the base and tapers slightly toward the middle, with a ladder leading up to the top; it fills the frame of the image, with other components of the site cropped out. Cooling towers, which originated in Europe in the nineteenth century before spreading internationally, are designed for use across a range of industrial sites, including oil refineries and food processing plants, and work to expel waste heat from water, forcing steam upward to evaporate into the atmosphere so that the water might be reused. Bernd and Hilla Becher photographed over two hundred cooling towers over the course of their career, ranging from early wooden forms to more recent concrete structures. Cooling Tower is emblematic of the Bechers' approach across their career; the presentation of the structure aspires toward the objective and impersonal. This photograph was taken with a large-format camera from a frontal perspective. The cooling tower is isolated from its context as part of a larger industrial site. There are no figures or other visual indicators, such as steam, that suggest the structure's ongoing use. Nonetheless, it is not romanticized; it is shown in clear focus, with an even depth of field, with no attempts to distort through atmospheric lighting or unusual angles. This technique serves to concentrate the audience's attention on the structure, encouraging consideration of the formal properties of the cooling tower itself as opposed to the means of representation. This sequence of photographs, showing pitheads from British mining and quarrying sites, were taken from 1965 to 1974 and is representative of the way the Bechers chose to display their work through their career, arranging images in groups according to type. Pitheads, known as such in the United Kingdom and as winding towers elsewhere, were positioned at the top of coal shafts and served as mechanisms for hoisting gear into and out of mines. These nine images, arranged in rows of three, all show the pithead from the same distance and perspective, centering the structure in the frame and tightly cropping the surrounding buildings. In each case, the horizon is low and the backdrop cloudy; the pitheads themselves rise up as triangles, with circular rigs positioned at top of the structure, where a vertical base intersects with a metal diagonal leading into the mine itself. This mode of display encouraged audiences to closely consider the form of the structures on display, with repetition facilitating a greater understanding of the ways in which different examples resembled or diverged from one another. In Pitheads, each structure has the same basic form, but varies in the angle of the diagonal that leads into the mine, the number of supports linking this diagonal to the base and in the nature and number of buildings grouped at the base of each pithead. Bernd and Hilla Becher considered this arrangement by type, usually referred to as a typology, as a means of emphasizing the different solutions that engineers found for the problems industrial structures were built to address. Zimmermann Coal Co., Ravine, Schuylkill County is among a group of photographs, Pennsylvania Coal Mine Tipples, on which Bernd and Hilla Becher worked in the 1970s. The image, like the group to which it belongs, is a record of a regionally specific industrial architecture. The tipple in this photograph, used to load and transport coal in a similar manner to a winding tower, is hand-built, with wooden supports at various angles that suggest instability. These makeshift structures were often built by independent miners following the Great Depression, during which period many mines in the United States were forced to close due to lack of funds. The shape of tipples sprung from the particular geology of the sites where they were located; while this photograph is cropped to focus on the structure itself, the hills of Pennsylvania and heaps of rock or coal can be seen both behind and at the base of the tipple. Zimmermann Coal Co., Ravine, Schuylkill County offers an image of a method of mining that largely does not exist today. The Bechers' images were partially intended as a means of preserving a way of life that was, in the period in which they were working, in the process of disappearing. The structure displayed here is testament not only to engineering, but to the human relationship with the land; the handmade quality of the tipple directs the audience's consideration to the geological knowledge that underpins the construction of and work at regional coal mines. The degree to which these images testify to a period and way of working that has now been lost has led some critics to view them, more recently, with a nostalgia which was rarely felt when the structures were still standing. This appreciation of images as cues for nostalgia has also been applied to the work of other photographers, including Stephen Shore, who shared the Becher's interest in representing the landscape without idealization and runs counter to the initial view of such photographers as anti-Romantic. Some believe that this sense of melancholy stems from the careful composition of the Bechers' photographs, while others maintain, as did the artists themselves, that this feeling is the result of change in the world outside the image rather than inherent to the work itself. This sequence of images shows blast furnaces, used to smelt various kinds of metals, from across Europe and the United States of America. In the sequence, blast furnaces are shown from a range of angles, though the Bechers' process for photographing was no less rigorous for this variety; they employed a technique in which they captured each furnace at each forty-five-degree angle, selecting images from among these. As is usual across the oeuvre of Bernd and Hilla Becher, each blast furnace is isolated, filling the frame, and there are fewer external indicators providing context. Blast Furnaces Sequence showcases the degree to which Bernd and Hilla Becher's photographic process served not simply to preserve the architecture documented, but also to transform it, stripping it of its utilitarian purpose and emphasizing its formal qualities. In this period, sculpture that drew upon industrial materials and techniques was developing, with artists such as Jean Tinguely, Michael Heizer and Donald Judd coming to prominence. The Bechers' images were sometimes labelled, by themselves and by others, as "anonymous sculptures," alluding both to the unknown engineers and to the lack of conscious attention to the sculptural qualities of these structures. In this, the Bechers provide a suggestion of the machine aesthetic from which artists working with welded materials drew, elevating industrial precedents to a similar position. They suggested, in statements accompanying their work, that anonymous engineers deserved to be lauded as fully as individual artists. In Blast Furnaces Sequence, the audience's attention is arrested by the complexity of the blast furnaces, which twist and contort in a multitude of ways, with serpentine lines that suggest organic forms such as bodies. The images emphasize the aesthetic qualities of the forms on display, encouraging a consideration of the similarities between industrial sites and modern sculpture. Industrial Facades Typology is a more obviously architectural sequence than many of the Bechers' other groups; these structures do not clearly express their functions, but rather hide them. They fit within Bernd and Hilla Becher's larger body of work, however, as documents of a particular element within industrial sites, illustrating the way in which buildings respond to the need to be affordable and durable. This particular sequence consists of industrial facades that are taller than they are wide. The majority are constructed in brick with an iron skeleton that creates grids that overlay the facades. The Bechers' photographs are taken from a frontal perspective against a grey sky, cropped so that the facades fill the frames, and the repeated composition draws attention to similarities and differences in form. The degree to which these buildings remain inscrutable even as the image represents them clearly is indicative of a paradox underlying Bernd and Hilla Becher's work, in which clearly documenting industrial buildings does not provide the audience with an understanding of them, but rather marks a level of remove. The structures appear as two-dimensional due to the frontal perspective, with no sense of the volumes that lie behind the façades. In some cases, the buildings appear abandoned, with broken windows, while in others vehicles suggest that they are still in use. The photographs are accompanied by locations, but not by dates of construction or indications of use, and so appear mysterious to their audience. This removal of historical and geographical context in the Bechers' images is particularly striking when considered in relation to the period in which the artists were working, as Germany attempted to come to terms with the Holocaust and other aspects of recent European history. The Bechers' work represents the past, in the form of buildings, without acknowledging or engaging with this rupture and this approach to modern history can be seen as either part of or counter to the struggle amongst German artists, most prominently Gerhard Richter and Sigmar Polke, to come to terms with postwar identity. Thomas Struth, one of the Bechers' students, argued that their work was so extreme in its pursuit of the apolitical that the position read as a response to the recent past rather than as a neutral act, suggesting their approach reflects the difficulty of engagement; others have criticized them for prioritizing the aesthetic qualities of factories that almost certainly contributed to the German war effort. These photographs, characterized by their lack of context, ultimately refuse to provide insight into the range of social, political, and environmental issues with which industrial sites were often associated, leaving them open to interpretation. Bernd and Hilla Becher organized their images of tanks for storing gas according to type; this sequence shows spherical gasholders, which have the largest capacity, holding liquefied or compressed gasses. These gas tanks were made of steel, insulated against heat and coated in reflective paint and those shown in this sequence were elevated on straight pylons, which was often, but not always, the case. The grouping of spherical gasholders together attracts the audience's attention to the staining on the outside of the structures and to the different positions of the skeletal staircases that wrap around the outside of the tanks, encouraging consideration of these as aesthetic properties that differentiate the structures from one another without interfering with their function. The Bechers' typology, here as elsewhere, presents the industrial structures almost as scientific specimens; there is no clear hierarchy or imposition of the photographers' own conclusions regarding the gas tanks, with the audience's attention distributed equally between the twelve images. The Bechers regularly cited August Sander, who had taken this approach in representing people, plants and building types such as castles and gothic cathedrals, as an influence, and this can be seen clearly in their use of this format. In these groups, the individual structure is subsumed into that of the larger group, making them examples of a type rather than individual specimens. The spherical gas tanks are presented as the products of unknown engineers which do not express the individuality of their designers and the Bechers' presentation matches this, carefully avoiding any expression of the photographers' subjective responses, erasing the individual in order to focus on society more broadly. In choosing to photograph gas tanks, the Bechers position these forms as worthy of attention, grouping them for inspection in a similar manner to that in which artists and scientists had previously grouped gothic cathedrals and rare butterflies. Other artists, later, continued this tradition, but altered it further, with a particular emphasis on the snapshot rather than exacting composition; Ed Ruscha's Twenty-Six Gasoline Stations, for example, arranges apparently unstudied shots of petrol stations in a similar manner, suggesting that it is the typology itself, rather than the content, that transforms the everyday into art.